Storytelling is a way to connect with your clients. It was the topic at our recent event. I wrote this blog late last year, I hope you enjoy it. What are you doing over the holidays? Perhaps you are staying at home, spending time in the country or along the coast, travelling to distant places, maybe staying in some luxury resort or joining more than 300,000 people who on any one night of the year are out making the most of a caravan or camping holiday in Australia . Did you know that in Victoria the Caravan and Camping Industry is a 1.5 billion dollar industry? Employing five and a half thousand people. Currently Victoria produces 90% of all the recreational vehicles built in Australia, making in excess of 20,000 new units a year. As a child, I have fond memories of family holidays when we would hook up the van and head off. 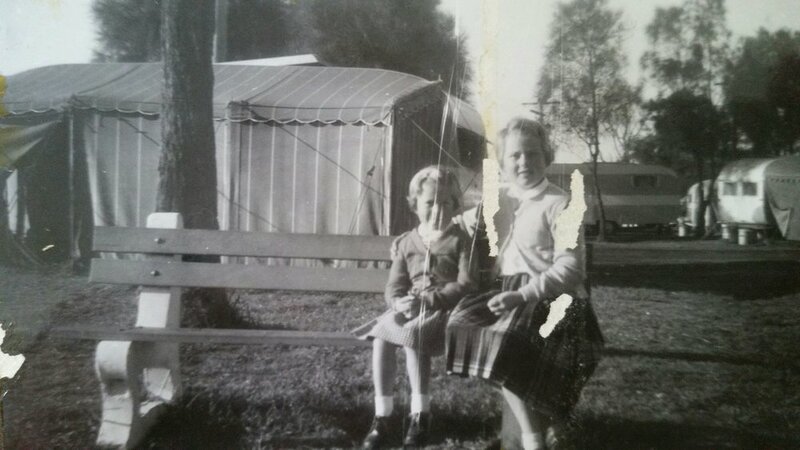 Caravaning was and still is a fun way to bring family and friends together. Camping grounds provide contact and community and many would agree that it is better than sitting in a motel room. It is a way for families to get their kids out into the great outdoors, off the screens and having fun as within a couple of hours of arriving at a site kids have usually made some new friends. You, as an adult have the chance for conversations about your caravan, learn about other places to visit and find there is a a happy hour happening around the corner and you get invited across for a barbecue. You talk to all kinds of people face to face and benefit from the conversations, interactions and networks that operate within the community, often resulting in relationships last a lifetime. Next time you're at one of the big five-star motels, you could try to put your key in the door, talk to the person next door and find out what their rooms like. You will probably find they'll look at you like there's something wrong with you! Yes, things have changed and online networking has also impacted the ability for people to talk to strangers face to face. You may be asking why are caravans of any interest to me? And what is in it for you to keep reading my blog? It is through sharing knowlege and experience that our lives can be enriched and we can be inspired by what others have achieved. We can learn so much from the lessons learnt by others, and often only link them to our own experience in hindsight. I want to share with you the story of Ken. My father, who was a pioneer of the Caravan Industry Association, although we never really thought about him in that way until recently. Why should you care? It is an example of how from little things big things grow and can impact on the lives of others! For those of you who have never heard of the The Caravan Trade & Industry Association Victoria (CIAVIC) , it "has been the voice of Victoria’s caravan and camping industry since 1952. It was formed by a group of caravan manufacturers, hirers and private individuals with a keen interest in the “family lifestyle” caravanning has to offer". "I have recently tried to contact you via phone and left a voice message regarding a ‘Hall of Fame’ award the was announced for your father, Ken Tibbits, at this year’s Caravan Trade and Industries Association of Victoria’s (CTIAV) Hall of Fame Industry Awards evening. The award was determined by a panel of previously awarded ‘Hall of Fame’ recipients and the current CTIAV Council in recognition of Ken’s outstanding service to the caravan industry. All recipients or their family receive an award and framed certificate as recognition of this special achievement. As such my Manager, Tanya Hall, and our CEO, Rob Lucas, would like to arrange a day/time to present you with the award and certificate in person. If you are receptive we would also like to take a few photos of Rob presenting you with your father’s award?" In November, my sister and I were visited by Rob Lucas, and Tanya and were presented with a Hall of Fame Award, on behalf of our deceased father, was was inducted for his contribuiton to the Industry. We learnt that the "CIA VIC have recognised four well deserving pioneers and legends of the Caravan Industry and inducted them into the CIA VIC 2017 Hall of Fame. These inductees have made significant achievements within their business and are well-respected within the Caravan Industry today."... our father was one! Rob shared how he had started as CEO in 2011 and realised nine months into the role, that the Association did not honor it’s pioneers... or even say, "Thanks very much for the work that you've done," and recognise that through the commitment and perserverance of the early pioneers the Association had grown into a major organization. So the Board made the decision to recognize those people that had put a lifetime of effort into the Caravan and Camping Industry and in 2012, at the 60th anniversary Gala Dinner, introduced the Hall of Fame. It is times like these that make you reflect on your life and how your upbringing and past experiences may influence your direction. For me, it was a chance to learn some untold family history, and also a moment of pride as I learnt how a community was built through a network of caravan manufacturers, established in the 1950’s, and has gone on to influence the lives of so many future generations. The first caravan and camping show was held in 1954 with just 14 caravans displayed at the Park, where the National Gallery Victoria now stands. Now a days the major show is held at the Melbourne Show Grounds, and covers 66,000 square meters of exhibition space, displaying about 1200 recreational vehicles, motor homes, caravans. Pop tops, camping trailers. It is the only Association that fills the show grounds, outside of the Royal Melbourne Show. To be a Hall of Famer, there were five main criteria and it was decided that the Award would not go to just anyone. The nominee had to be considered a pioneer, one who has made considerable and significant contributions to the industry. or been a member on the board or a committee. and by general means, were seen to be honorable and ethical people. Since then a Hall of Fame working group has been established and many of the "original old fellows" get together and reminisce about the past, their role every single year, is to make recommendations to the Board of who should be in the Hall of the Fame. When our father was recommended, the challenge was to find his next of kin. As he passed away some 20 years ago, connections within the Industry had to drew on their past knowledge of Ken's family to locate us. The power of networking paid off! Dad's colleague, now 88 years old, w alled my sister’s name and school. They then contacted the Aumni, who in turn reached out to us, but unfortunately due to the late notice we were unable to attend the actual Dinner and it was collected by the colleague who had tracked us down. However, we have been invited to attend next year's event and also to visit the West Melbourne offices to see the Honor Board where our Father is named as a Past President and now Hall of Famer. Generally when pioneers of the Association are discussed people are surprised how the team has grown. Life members remember the Association being a part-time employee in a little office at the back of nowhere, running some shows, one show a year. Now there are four shows, with 130,000 people a year come through the event and turning over seven million dollars a year. There are 12 staff, and the growth over the years is attributed to the continued effort support of the community based on the original efforts of the early pioneers. The afternoon was full of stories. Friends who now go up the East Coast every winter with their van , having to booking months in advance to get the places they love, due to the demand on sites… our trip to the Kimberley where we met so many people travelling around all the time in camper vans …without people like my father, it never would have happened. Many life-long friendships started by meeting in a caravan park. It is a highlight of the industry. There are plans a foot for a museum for the caravan and camping industry to display memeorabilia to honor the development of an industry that now creates employment, opportunity, and income, in addition holiday memories for thousands of families like you and I.
I could not help but think that YTM business networking events and my love of building community and creating relationshipsmay have been inbreed in my DNA or the first seeds sown come from my childhood experiences? It was certainly family bonding time. If you couldn't afford to go to a hotel, you had a caravan, and it wasn't considered quite as glamorous then as it is now with the modern vans having everything but the kitchen sink! One of My fathers van in 1954 retailed at 675 pounds, and was made from plywood. As they developed they became aluminum with a wrap round window, his invention. sand our mother was involved int he business, too, designing the interior decoration and making the curtains in the early days. Perhaps that is why I am interested in interior design and have a need to move change furnishings ? The cost of vans increased over time to $ 3,450 dollars for an 18-foot These days vans can cost in excess of $ 90,000 or more. The Industry continues to develop and has plans for a National Caravan Industry, Development Center to be opened In the north of Melbourne. Talks are in progress with the Victorian Government to establish the training center to provide an accredited course for building caravans-selling caravans, and repairing caravans using fiber glassing and metal, and will be industry specific, professionalizing the industry and developing transferable skills. Currently, five multi-national suppliers to the industry are keen to support the center with trade days, displays, and they are also keen to support the concept of having the history on display. the stamping of the sales brochures and getting into trouble for smudging the ink! I wonder if the original "Association" ever had a vision of just how far the industry could grow? Those first pioneers were probably just focussed on trying to run their businesses to support their own families and provide a solution for other families to have affordable holidays and create memories that would last a life time! From little things big things CAN grow! Enjoy your holidays and take time to reflect on why you might do what you do and what has influenced your business journey. I'd love to hear your story. Thank you to Rob Lucas, CEO of the CTIA and Tanya Lucas for sharing their known history of the CTIA...I hope I have done the Association and our father justice in recounting the stories. Story telling is a way to connect with your clients. Is Networking Cost Effective Marketing?